Reiki is the ancient Japanese art of healing through touch. 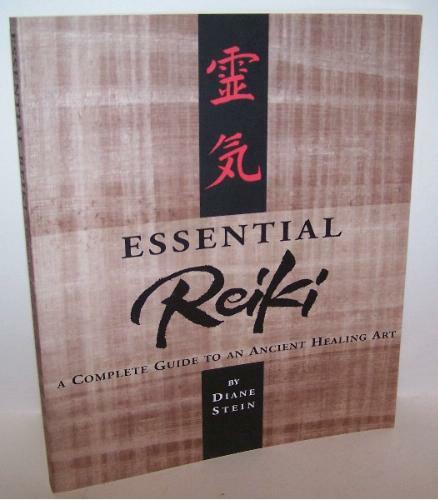 “Essential Reiki” is the “Complete Guide” to it. As you might imagine, multiple medical studies throughout the years have found it to be ineffective in the treatment or prevention of any medical condition. The practice itself, though dangerous to your wallet, is pretty inoffensive. The practitioner holds their hands on various parts of your body, and pretends that magic healing rays are coming out of them, and then you pretend to be healed. The only problem I see with this is that one of the main “focus areas” is the perineum, but as far as that goes, if you’ve never had an old hippie lady get down under your balls and feel around, you haven’t truly lived life.